Gangs and drugs. Although those topics have been mysteriously absent in recent Chicago mayoral and aldermanic debates, gangs and drugs are on the minds of residents whose day-to-day lives are affected in many of Chicago's outlying neighborhoods. 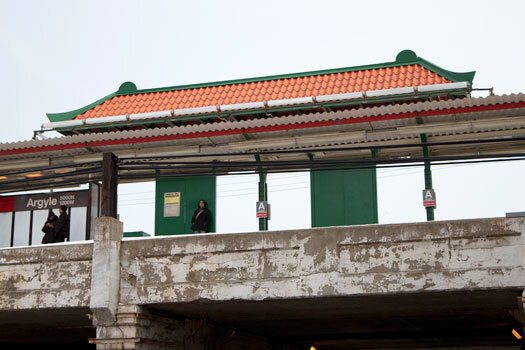 The Uptown area—including the neighborhood surrounding the Argyle Red Line stop, among others—is no stranger to crime. The neighborhood was plagued with a rash of violent and drug-related incidents in 2010. In 2011, although building at a slightly slower pace, the developing trend doesn't look much different. Some residents attribute the events to a recent influx of gang members after the city's low-income housing was town down, while others think even more police are needed out on the streets in specific areas. Raymond Le, 43, lives only a few blocks from the Argyle stop and believes both are true. "It's at a point where my kids don't go out without [me]," he said. "It's the gangbangers. More police are needed." These interactive violent crime and drug-related maps examine the various crimes in the Uptown area, listed by type, dating back to Jan. 1, 2011. They will be updated every week with new data. Outside of a few isolated incidents, it is interesting to note that the bulk of the violent crimes are happening in many of the same, centralized locations where drug-related crimes occur. Click on the pins below for details and locations of the crimes. All crime data cited from EveryBlock feed and RedEye. See additional discussion on these maps at WindyCitizen.